turn signal mirrors, High Beam Assist, Blind Spot Detection (BSD), Fog Lights, Rear Cross Traffic Alert (RCTA) Late availability. turn signal mirrors, High Beam Assist, Blind Spot Detection (BSD), Power Moonroof, Fog Lights, Rear Cross Traffic Alert (RCTA), Radio: Subaru STARLINK 8.0" Multimedia Nav System, AM/FM stereo, HD Radio, single disc CD player w/MP3/WMA/CRR/RW file capability, 8.0" LCD multi-touch gesture high resolution display screen, voice activated controls, Bluetooth audio streaming, hands-free phone and hands-free SMS text messaging connectivity (applicable w/compatible cell phone), Near Field Communication (NFC), iPod control capability, rear vision camera display, SiriusXM All Access radio (subscription required), SiriusXM Traffic (subscription required), SiriusXM Travel Link (subscription required), 6 speakers, 3.5mm auxiliary input jack and front and rear dual USB ports, Navigation System Limited availability. This package will receive port-installed fog lights. 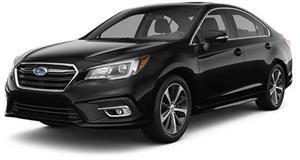 turn signal mirrors, High Beam Assist, Blind Spot Detection (BSD), Power Moonroof, Fog Lights, Rear Cross Traffic Alert (RCTA), Radio: Subaru STARLINK 8.0" Multimedia Nav System, AM/FM stereo, HD Radio, single disc CD player w/MP3/WMA/CRR/RW file capability, 8.0" LCD multi-touch gesture high resolution display screen, voice activated controls, Bluetooth audio streaming, hands-free phone and hands-free SMS text messaging connectivity (applicable w/compatible cell phone), Near Field Communication (NFC), iPod control capability, rear vision camera display, SiriusXM All Access radio (subscription required), SiriusXM Traffic (subscription required), SiriusXM Travel Link (subscription required), 6 speakers, 3.5mm auxiliary input jack and front and rear dual USB ports, Navigation System Late availability.